UPS president for the Indian Subcontinent, Middle East and Africa (ISMEA) district, Rami Suleiman discusses the companys sustainable innovation, customer service ethos, and partnership for World Expo 2020 Dubai. An effervescent Rami Suleiman welcomes us to the UPS regional headquarters in Dubai; recently appointed as the president for the Indian Subcontinent, Middle East and Africa (ISMEA) region, Suleiman radiates a positive persona, with a ringing passion for the world of package delivery. The story sets stage for what UPS represents for both its employees and its customersits a brand that cares for its people. Perhaps this is one of the primary reasons why UPS was elected as the Official Logistics Partner for Expo 2020 Dubai. Every day, youll come across instances of UPS employees have gone above and beyond to meet and exceed the customer expectations, says Suleiman. There was a time when we would talk about customer experience in terms of KPIs, but todays conversation is solely around the customer. Theres an emotional attachment with the service that we deliver to our customers, and thats what UPS is about. Suleiman joined UPS in 1992, and has worked in the United States, United Kingdom, and then the UAE. Highlights from his career include the acquisition of Fritz Companies Inc; the launch of 2,800 access points  a UPS-affiliated retail location like groceries and convenience stories, offering convenient package drop-off or delivery point  across the UK in 18 months; and the successful execution of logistics services for the London 2012 Olympic and Paralympic Games. Suleimans experience from London 2012 Games will be integral in UPSs partnership with and preparations for Expo 2020 Dubai. UPS traces its history back to 1907, where 19-year old entrepreneur James E. Casey started the American Messenger Company in Seattle, with a borrowed capital of $100. Initial deliveries were made on foot or bicycle. A merger in 1913 lead to the acquirement of the first delivery trucka converted Model T Ford and it was in 1916 that the companys signature dark brown trucks were established. Subsequently, operations were expanded beyond Seattle, and in 1925, the company was named as United Parcel Service. UPS was started by an entrepreneur, and entrepreneurship continues to be the ethos of UPS, says Suleiman. 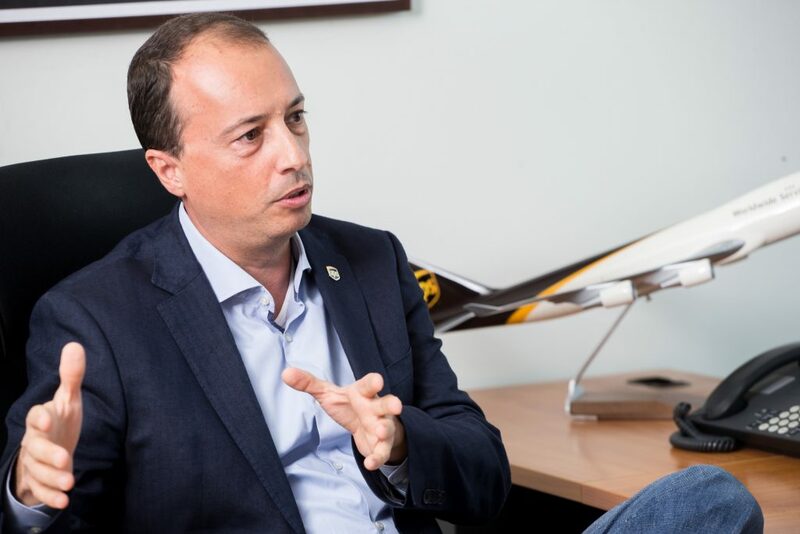 As we look at the different horizons, UPS has always been at the forefront of transforming its business to really meet the needs of our customers and adapt to the environment that were in. If we look back to the 80s, UPS was traditionally perceived as a domestic U.S. company, but in the 80s we created the airline [division] and went abroad at a fast pace. We began offering services in Canada in 1975; the following year saw the start of operations in Germany. Over the next decade, UPS expanded its service throughout the Americas and Europe. In 1989, UPS extended service to the Middle East, Africa, and the Pacific Rim. Today UPS moves 3% of the worlds gross domestic product (GDP) and successfully delivers 20 million packages across 220 countries and territories every day. 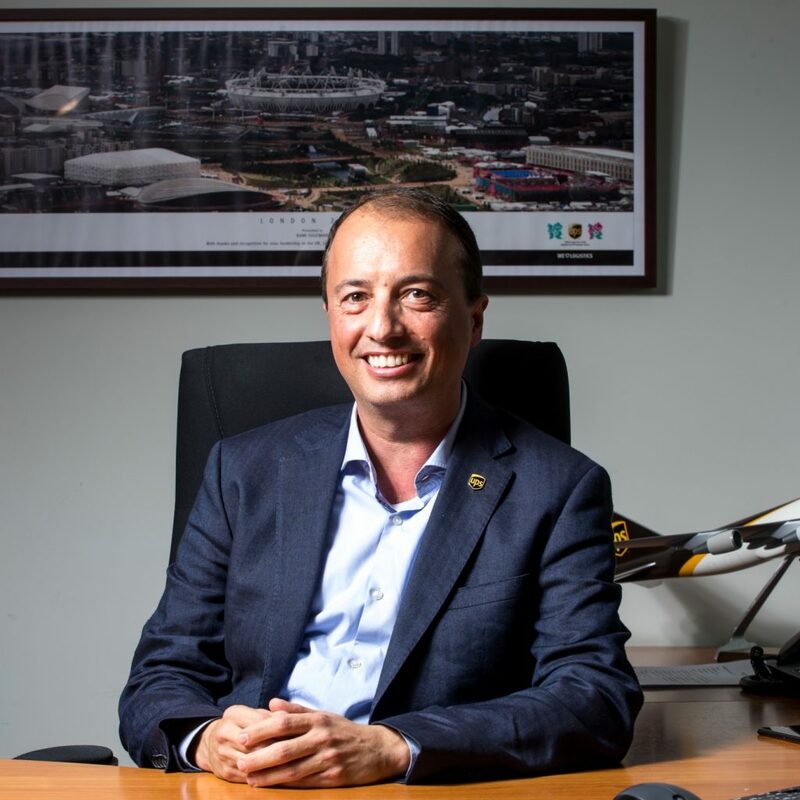 Suleiman believes that one of the big transformation projects for UPS was the broadening of their portfolio of services, one of which included freight forwarding. In 2004, Suleiman held the position of finance director in Southern California, where he was responsible for freight forwarding and contract logistics for the Western part of the U.S. He played a major role in driving UPSs strategy for long-term growth including seven brokerage and forwarding operations. Suleiman hopes to further develop the transformation growth strategy and capitalise on UPS investments in its network, technology and partnerships to continuously increase UPS footprint in the ISMEA region, where the company has been operating since 1989, positioning UPS as a trade enabler within the Middle East from and to the rest of the world. Given the UAE and U.S. trade relations, it is only normal that UPS is keen to expand its services in the region. In February this year, UPS announced a daily non-stop flight from its Worldport global air hub in Louisville, Kentucky, to Dubai, reducing time-in-transit between the United States and key destinations in the Middle East by a full business day. At approximately 12,400 km, the route is the longest regularly-scheduled flight UPS has ever operated, and is made possible by the new 747-8s, which offer greater payload over long range. UPS has a long history of developing and applying technological advances to improve logistics and supply chain management. The company pioneered the field of electronic sorting and tracking of packages. Suleiman explains that a lot of technology that UPS currently works with is seen as either niche or mainstream. As this world evolves, niche may become mainstream, mainstream may become niche, and maybe mainstream will become a silly idea someday in the future. There are three that I would classify as mainstream blockchain is one of them. Blockchain is for dealing with crossing borders and doing it in a way that is efficient and effective, with transparency, compliance and visibility, and speed. UPS have designed their vehicle routing software to eliminate as many left-hand turns as possible (in countries with right-hand traffic). Typically, only 10% of the turns are left turns. As a result, the company claims it uses 10m gallons less fuel, emits 20,000 tonnes less carbon dioxide and delivers 350,000 more packages every year. The efficiency of planning routes with its navigation software this way has even helped the firm cut the number of trucks it uses by 1,100, bringing down the companys total distance travelled by 28.5m miles  despite the longer routes. UPSs drive to be efficient and to reduce costs has led it to invest in one of the worlds largest private fleets of alternative fuel and advanced technology vehicles. UPS has a long history with electric vehicles (EVs), having first introduced them into its fleet in the 1930s, and, reintroduced modern EVs in 2001. Currently, UPS has more than 300 EVs and nearly 700 hybrid electric vehicles deployed in Europe and the U.S. In late 2017, the company ordered 125 new fully-electric semi tractors to be built by Tesla in 2019, one of the largest pre-orders to date. Additionally, last September, UPS announced it will become the first commercial customer in the U.S. to start using three medium-duty electric trucks from Daimler Trucks Fuso brand, called the eCanter. ORION, which stands for On-Road Integrated Optimisation and Navigation, uses IoT technology to analyse several hundred thousand potential routes for a driver based on the destination of the packages in the vehicle, and within seconds identifies the optimum route. In 2016, UPS achieved a 100% deployment of ORION in the U.S. In 2017, with ORION technology, UPS has cut the miles driven per year by 100 million, ultimately cutting CO2 emissions by 100,000 metric tons, and realised an additional $10mn reduction in operating expenses over the expected $400mn in savings. In recent news, a UPS led consortium deployed a radical new charging technology in London that overcomes the challenge of simultaneously recharging an entire fleet of electric vehicles (EVs) without the need for the expensive upgrade to the power supply grid. The breakthrough signals the beginning of the end of a reliance upon traditional combustion engine powered vehicles, by allowing UPS to increase the number of EVs operating from its central London site from the current limit of 65 to all 170 trucks based there. Suleiman highlights niche innovations like disruption, 3D printing, robotics, and drones, commenting that these technologies are definitely on the list for UPS. 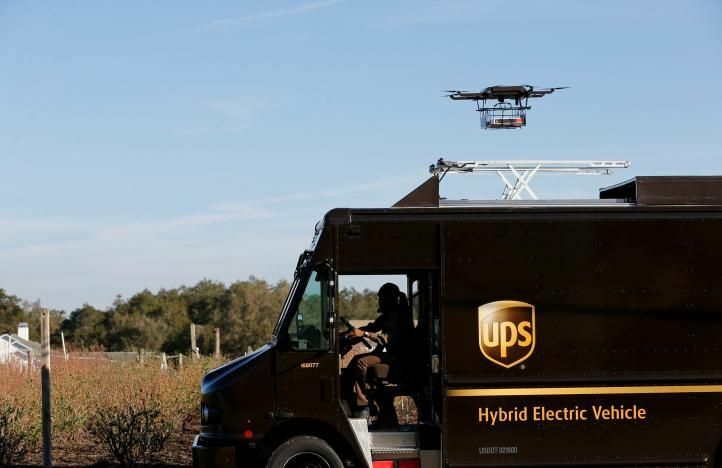 The company has successfully tested a drone launched from the top of a UPS package car. This system would be particularly useful inservicing rural areas by reducing the number of miles that must be driven to deliver a package. 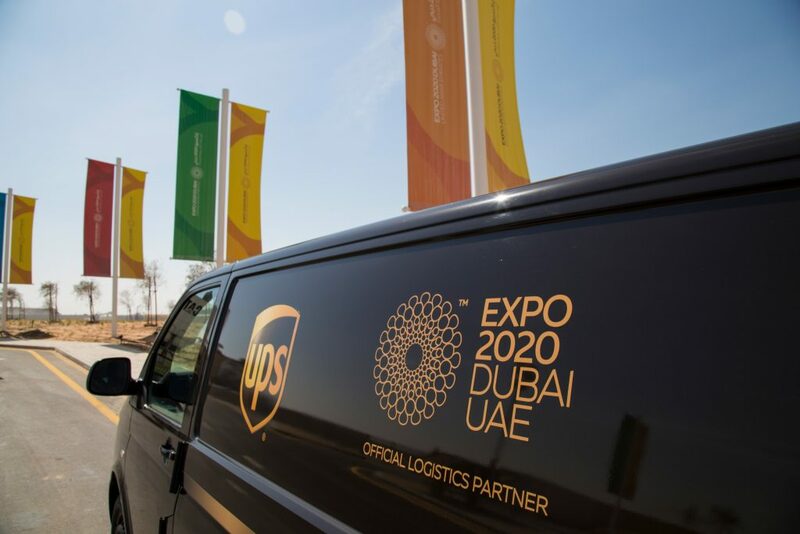 It was in May 2017 that UPSs tie with Expo 2020 Dubai, as the Official Logistics Partner, was announced. With more than 180 countries expected to participate and hundreds of thousands of visitors on peak days, the Expo will be one the most complex logistics projects UPS has tackled. UPS will provide up to 27,000sqm of warehouse space, equivalent to four soccer fields, and a team of up to 1,000 employees during the Expo. The company has already begun storing material at its existing warehouse in Dubai, and has plans to open a facility at the Expo site to store the immense amount of the goods coming in. 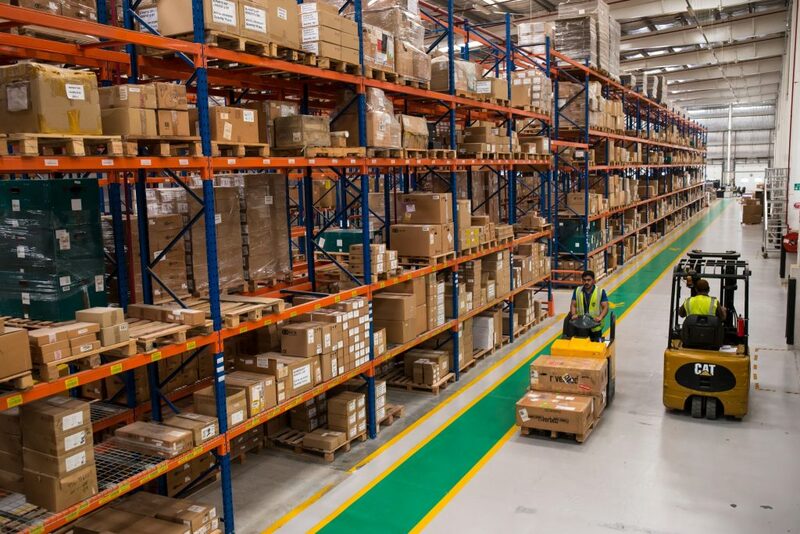 UPS opened an Olympic Games logistics center in Stevenage, England, in early 2011, spread over an area of 30,751sqm, with a similar facility opened in Tilbury a few months later. UPS relied on its Quantum View technology system to give its teams the ability to see, track, and manage all shipments, and used sophisticated tracking delivery devices with built-in bar code scanning and GPS capabilities. 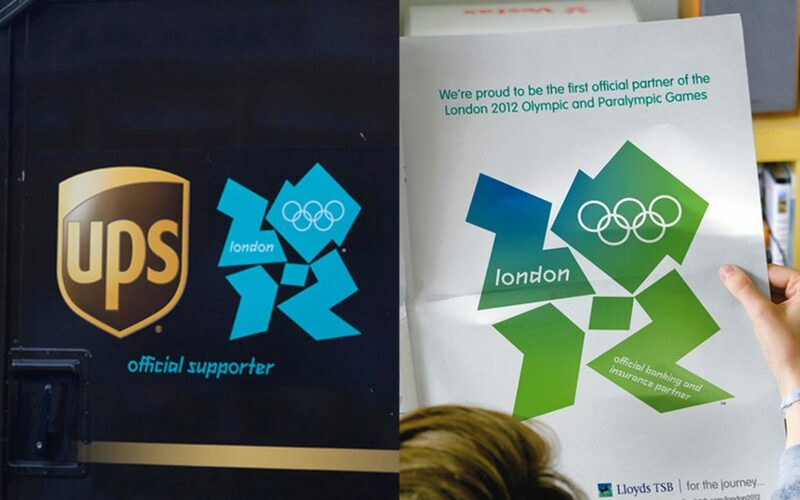 UPS had an operational presence at every event, venue, and hotel connected to the games. Furthermore, 10 dual-fuel biomethane diesel vehicles, which run on energy produced from organic waste, were added to UPS Olympics fleet, showcasing UPS frontrunner style when it comes to sustainability. The company made extensive use of bicycles and foot deliveries, and even transported containers from its warehouse at the Port of Tilbury via barges on the River Thames. 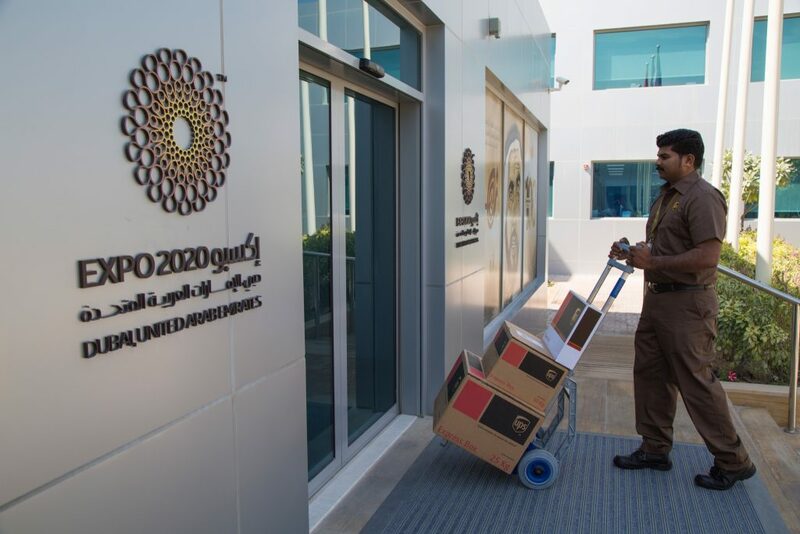 UPSs ideology seems to be rightly aligned with Expo 2020s theme Connecting Minds, Creating the Future, which focuses on the increased need to connect people, societies, and ideas for an improved future. 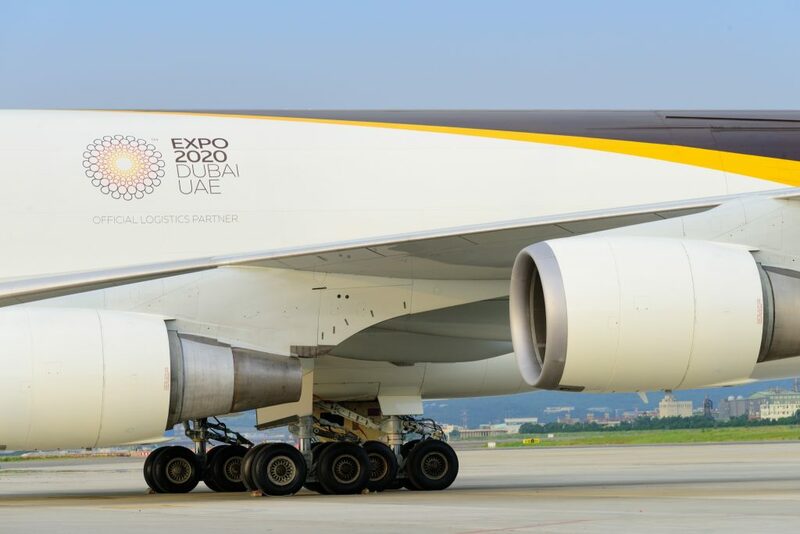 In May 2018, UPS added an Expo 2020 livery on one of its long-haul aircrafts, representing its partnership with the event. This is only the fifth time UPS has sported a modified livery on its aircraft and is a symbol of UPSs unique role in making the event a success.